Specifically formulated to convert the oxides of solder (known as dross) into good solder. Super Deox #1 is a stable, low fuming, high melting compound with no flash or fire points. Use of Super Deox can reclaim over 80% of dross into usable solder. This can substantially reduce solder cost. 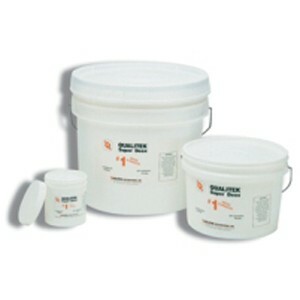 Also available for Lead Free pots as Super Deox #1H.